Combining Security and stability with comfort and speed, the MAKO Health boats have been designed to endure and perform well in the worst circumstances. 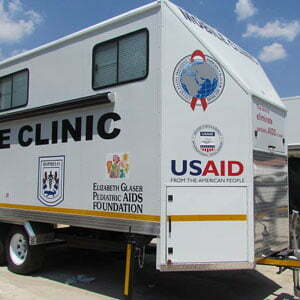 After receiving a number of enquiries for boats (to be converted and used to provide medical treatment for populations living on rivers and lakes in Africa) we realised that we needed to design and develop a custom designed product, developed specifically, to meet the health needs of this region. MAKO just recently finished a “turnkey” project to supply two Fast Ambulance Boats for Disaster Management in Ghana. The project involved the manufacturing and design of the Boat, building the internal “Ambulance” shell and fitting all medical equipment that allowed for two critical patients to be transported and cared for at the same time. 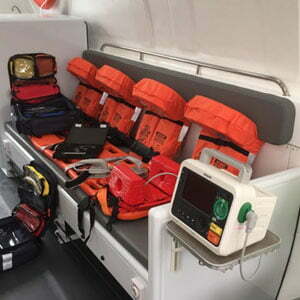 MAKO designed, supplied and fitted all major medical health survival equipment required inside the boat. 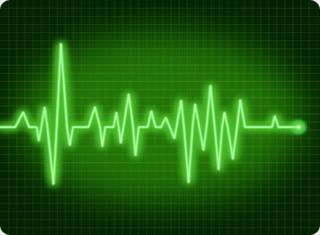 This included the major life support machinery to the basic equipment required for emergency situations. Our boats are manufactured for the “no failure” zone applications where reliability and consistency are critical to the success of the mission. 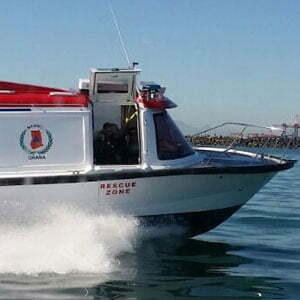 The MAKO Health Ambulance boats have exceptional high load carrying capacity in excess of 1.5 tons with the ability to run continuously at speeds of 45 knots in deep sea or seas as shallow as 1m.